Alimony, also known as spousal support or maintenance, is a court-ordered monthly allowance awarded for financial support during a separation and can be temporarily awarded through the process of getting divorced and long-term after a divorce. In Utah, the courts will award alimony if a former spouse is unable to meet their needs without financial assistance as a result of losing the support of their ex-spouse from separation or divorce. If your divorce has left you unable to make ends meet, you’ll want to know, will I get alimony in Utah? The answer will depend on a number of influencing circumstances including your current situation, your lifestyle while you were married and how long you were married. Not every former spouse will meet the requirements to receive spousal support, there are several contributing factors that the court will consider determining your eligibility for alimony. If you are struggling to get back on your feet post-divorce, alimony can help you through this difficult transition and provide long-term financial security. 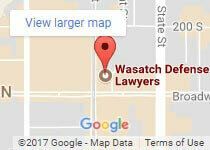 Contact Wasatch Defense Lawyers for a free, no-obligation consultation at 801-845-3509. We can help you get the alimony you deserve. An experienced Utah divorce lawyer-mediator can educate you and your ex-spouse on the purpose and function of Utah’s alimony statute and ensure both parties involved are protected and treated fairly. Mediation can help you gain a clear understanding of alimony to place you and your ex-spouse in a better position to come to a rational and fair agreement to suit your unique needs and circumstances. By working through differences over alimony in mediation, you will not have to go to court. You retain the discretion over the terms of your alimony case, rather than handing the decision over to the courts. By settling alimony matters out of court, a trusted, experienced lawyer-mediator will ensure that your specific financial needs are met by avoiding an unpredictable outcome in the courtroom that is out of your control. Financial Needs – Your monthly debts and financial obligations vs. your ability to afford them. Earning Capacity – The ability of your ex-spouse to produce income to pay alimony includes factors like the ability or inability to work, past employment and how long you were out of the workforce if you are responsible for the primary care for the children. Financial Support Ability – The income from all sources of the paying spouse will be weighed against their financial obligations and debts to determine an affordable alimony amount. The Length of the Marriage – The longer you were married, the stronger your case for alimony will be. Child Custody – Aside from child support, the spouse who retains custody of the children may be awarded alimony for the care of minor children until they turn 18. Family-Owned Business – If you worked in a family-owned/operated business, or business owned by your ex-spouse. Paying for You Former Spouse’s Education – If you helped put your former spouse through specialized training or college during the marriage or worked to support the family during this time. Sexual relations with someone other than your wife/husband. Intentionally causing harm or attempting to cause harm to your former spouse or minor children. Knowingly and intentionally causing your ex-spouse or minor children to fear life-threatening harm. Undermining the financial stability of your former spouse or minor children. Wasatch Defense Lawyers in Salt Lake City understand that alimony in Utah can be subjective and skillful mediation is the best way to calculate realistic and affordable alimony.Your former spouse is more likely to abide by an alimony agreement if he or she is treated fairly. Our knowledgeable and compassionate divorce and alimony lawyers will work diligently to make sure you are awarded the spousal support you need to move forward with your life.